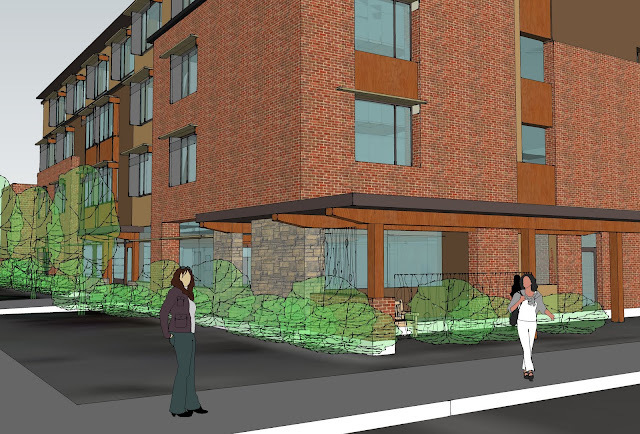 The DCA supports the Cornerstone housing project at 343 Booth Street (site of the former Desjardins IGA / Loeb grocery store). The Dalhousie Community Association has been briefed by the proponent as to the description of their project and its social purpose. The Association wishes to express its support for this housing initiative as meeting a need in the neighborhood. We were also favorably impressed by the design and exterior detailing of the building, which should fit in well with the neighborhood and improve the appearance of Booth Street and help animate the neighborhood. With respect to the variances required, we support the variance required for the verandah/smoking area on the Eccles side of the building. We also agree that the project residents are unlikely to own vehicles and that the parking requirements for residents should be waived or drastically reduced.